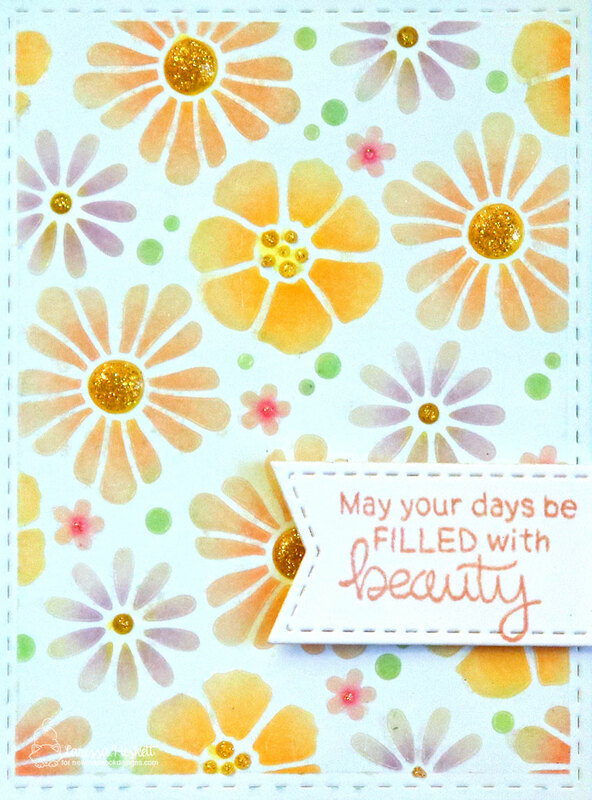 "Loads of Blooms" Stamp Set + coordinating "Loads of Blooms" Die Set, the "Flower Trio" Die Set, the "Bold Blooms" Stencil and the "Bokeh" Stencil Set!! I LOVE the NEW 1/2 inch Purple Tape by Therm O Web!! 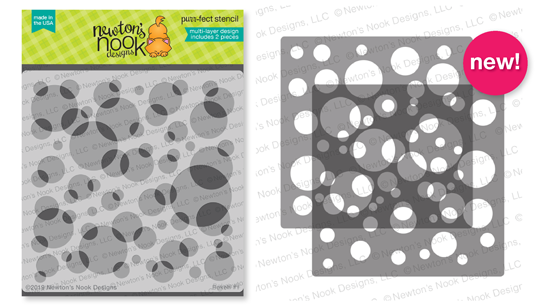 It's PERFECT for ALL of my Stenciling needs!! I used it to hold down my Distress Watercolor Paper and then placed the Stencil over the top and used a few small pieces of Purple Tape to hold it in place while I inked up the different Flowers!! 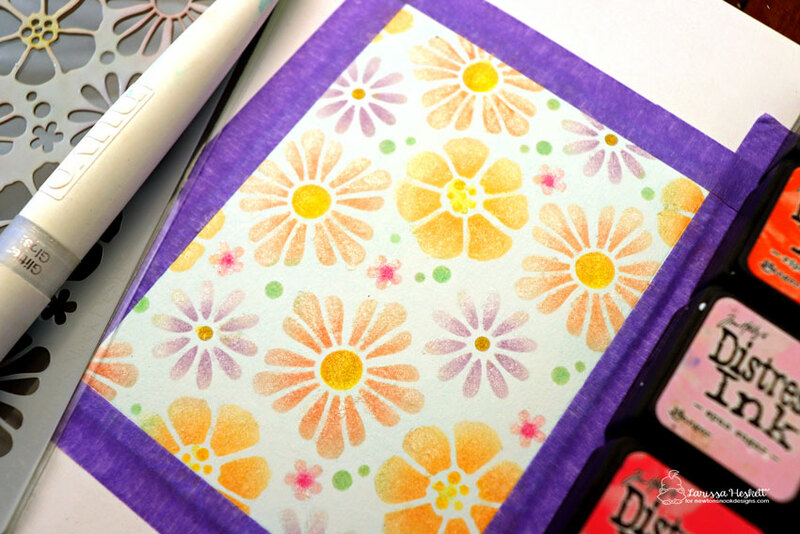 Once the Inking was done I used my Nuvo Glitter Pen to color oved all of the Flowers with the Stencil!! SWOON!! 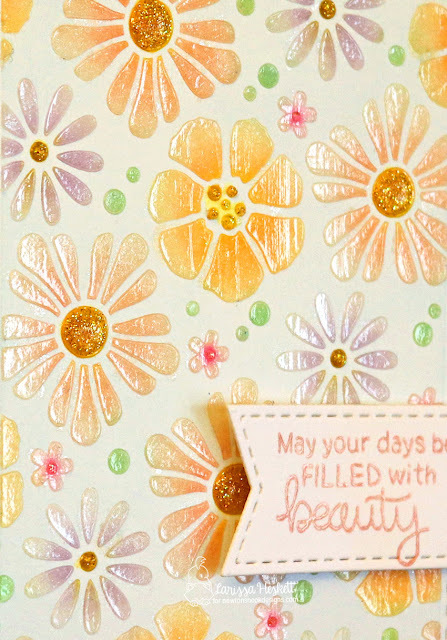 Just Look at that BEAUTIFUL Shimmer on those Pastel Flowers!! 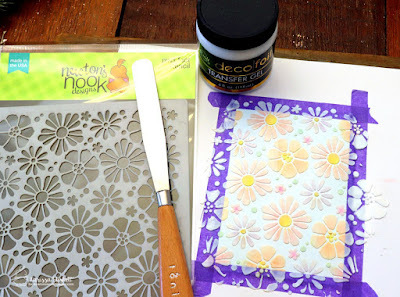 Next I used the Deco FOil Transfer Gel and my Palette Knife to add the Transfer Gel over the top of the Stencil and Inked Flowers!! I LOVE the texture of the Transfer Gel, as it goes on so EASY!! Here's a close up of the Dimension it adds, and you can see ALL of the BEAUTIFUL Color popping through!! Set aside to Dry!! You'll know its completely dry when its Clear and no longer Milky looking!! I Stamped and Embossed the Sentiment from the NEW "Loads of Blooms" Stamp Set onto a NND Frames & Flags Die Cut and then adhered the Dry Stenciled and Deco Foil Transfer Gel Panel onto a Frames & Flags Scalloped Panel that I Die Cut from some Cardstock!! I added some Nuvo Glitter Drops to the Center of the Flowers just to add even more Sparkle and in real life its SUPER Pretty!! 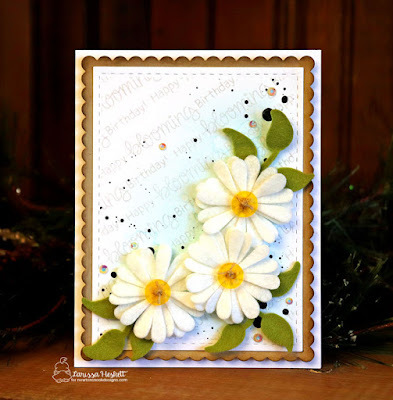 For my next Card I used the Bold Bloom Stencil again for my Background, but this time I used it over Kraft Cardstock and I used some White Pigment Ink to stencil it!! I added some Dark Espresso Distress Ink to the edges of the Frames & Flags Scalloped Panel to make them POP!! I Stamped and Embossed the SWEET Bicycle Image from the NEW "Loads of Blooms" Stamp Set and colored it in using Copic Markers!! I just ADORE the Images in this Set!! So Many occasions they could be used for!! I adhered the Image onto a Circle Die Cut that I inked using Distress Inks to create a Mini Scene!! 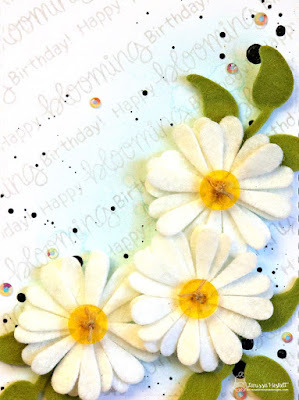 Some Nuvo Glitter Drops were added to the Center of the Flowers and I stamped and Embossed the sentiment onto the Stenciled Panel!! For my last Card today I used the AWESOME New Flower Trio Die Set and Die Cut the Daisy Die from some Taylored Expressions Marshmallow (White) Felt and then used the Leaf Die and Die Cut them from some Taylored Expressions Moss Green Felt!! I wanted FULL Flowers, so I Die Cut 3 Flowers for each Flower!! I like odd # so I also cut 3 Leaves!! I used Yellow Buttons and added some Burlap Twine for the Button Holes!! 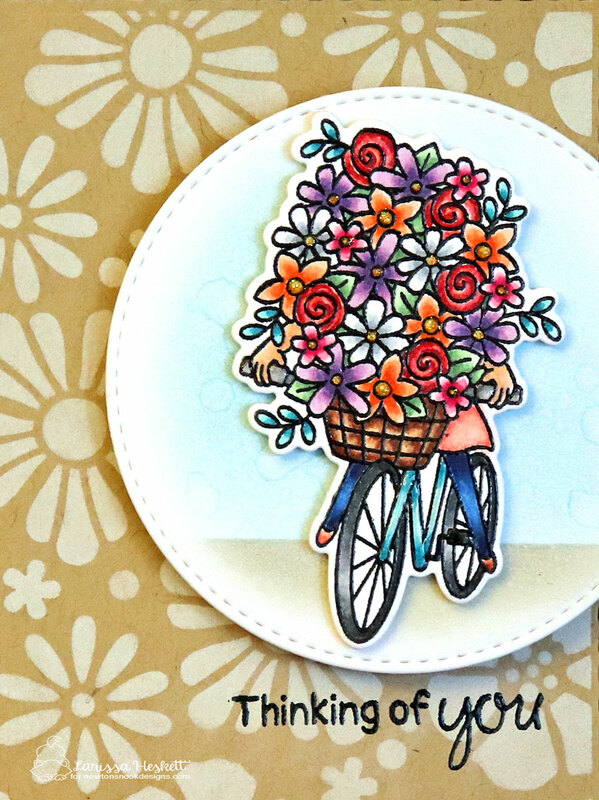 For the Background I Stamped the Happy Blooming Birthday Sentiment from the NEW "Loads of Blooms" Stamp Set and on a Diagonal in MFT Gray Grout Ink!! Then I added some Distress Black Soot Paint and added some Iridescent Jewels for some Sparkle!! I Die Cut a NND Frames & Flags Scalloped Panel and inked the edges with Dark Espresso Distress Ink!! I LOVE the way it turned out and I CAN'T WAIT to play with some of the other ideas in my head!! Would you like to win the “Loads of Blooms” Stamp Set!!?? Don't forget to visit the NND Blog again tomorrow for a look at the NEW "Woodland Spring" Stamp Set + coordinating "Woodland Spring" Die Set!! Beautiful cards. 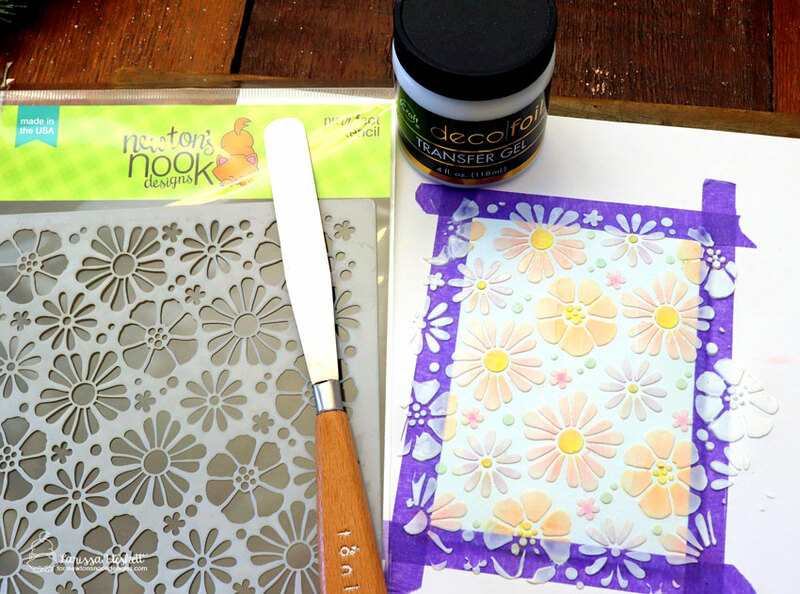 Really like the dimension of the stenciled flowers. Adorable set of cards!!! Beautiful details!!! Wow! 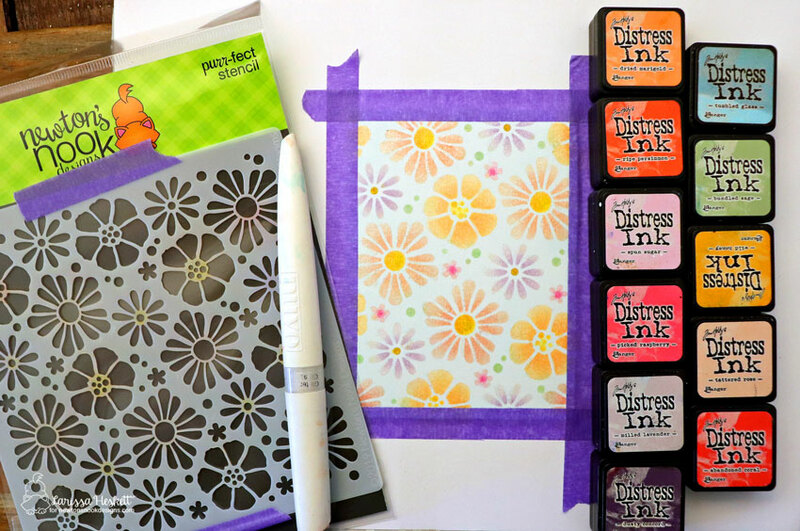 That's a lot of colors of ink on that first flower card! Love how it turned out! The felt flowers are amazing too! So cool! I can almost smell these lovely spring flowers! What beautiful cards!! 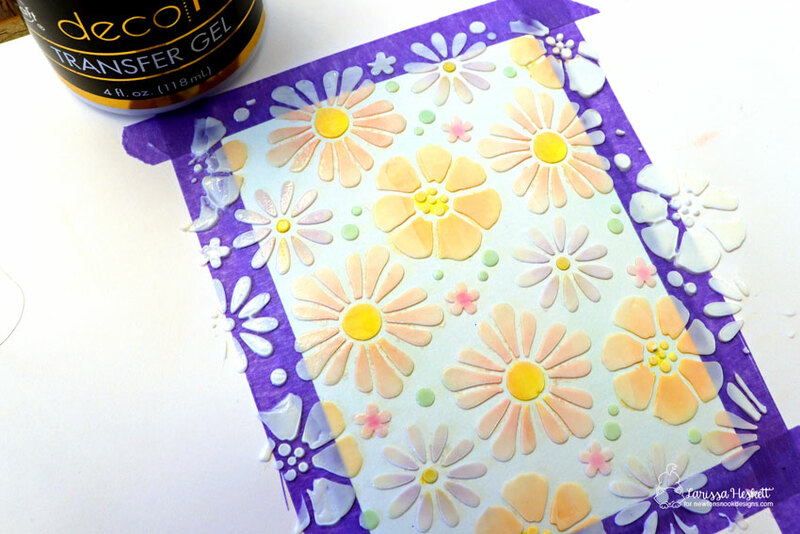 So - on the first card you just used the transfer gel without foiling, right?! Amazeballs!! These are so stunning. 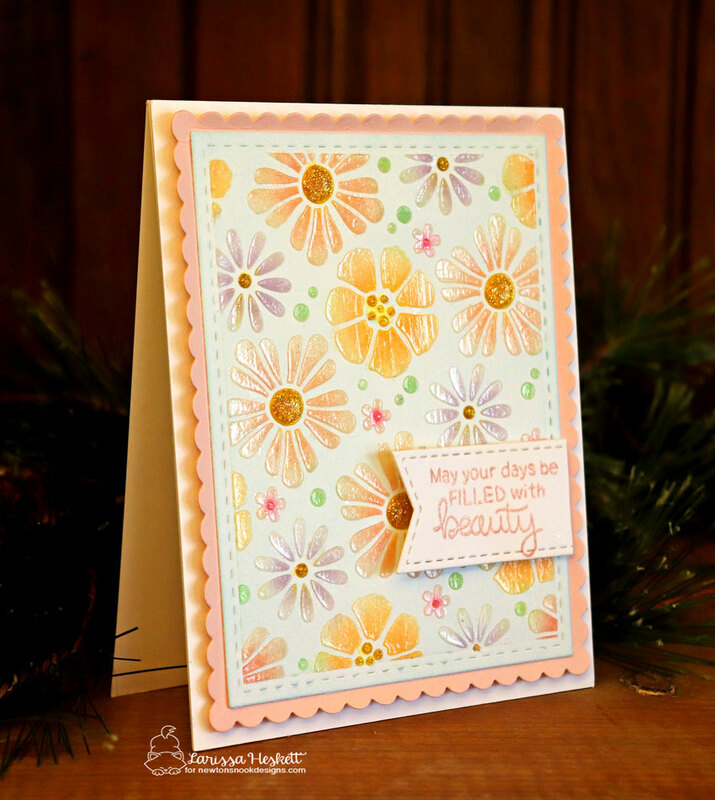 The way you layered the daisy's OMG, just cute, cute, cute! your flowers a lot of depth. Stunning texture! I love the glitter! And the way you popped the white daisies up! Love, love, love your cards!! They are all so pretty. 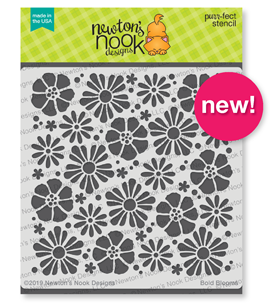 Love the new stencils and you've used the one so perfectly. Very pretty cards! You're an artist! Three amazing cards Larissa! Love them ALL!! 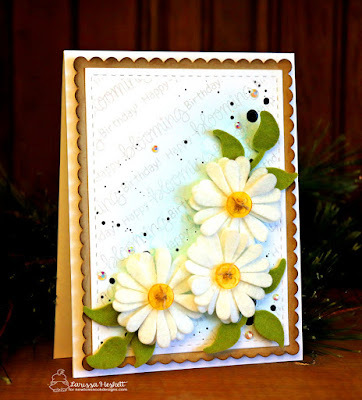 Wow your floral cards are so pretty...love how you used the stencil. Love those Bold Blooms! Awesome cards! 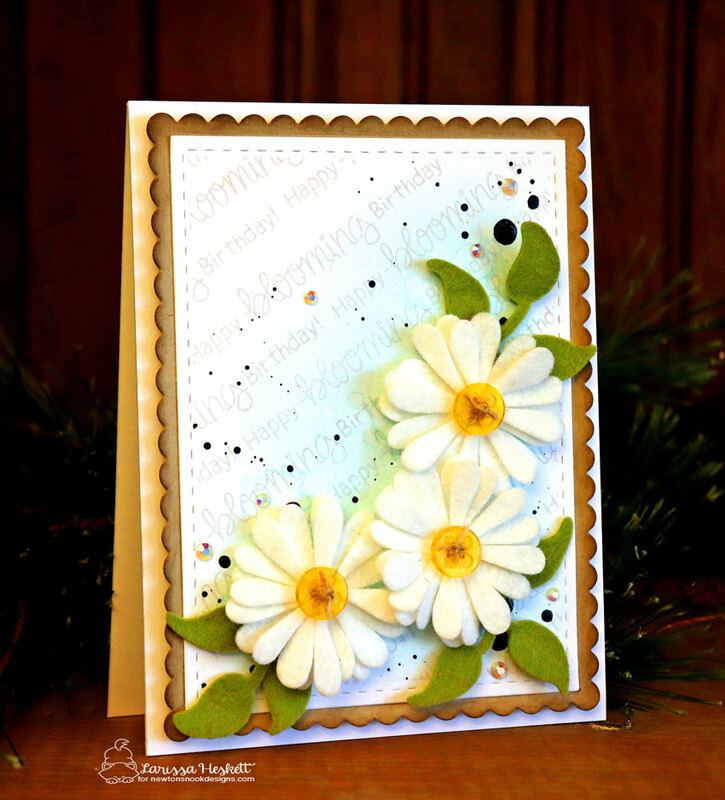 Pretty Loads of Blooms image, and beautiful job with the Flower Trio dies too! Pretty cards!Thanks for the chance to win. Your cards are always beautiful! I love each of the new releases. 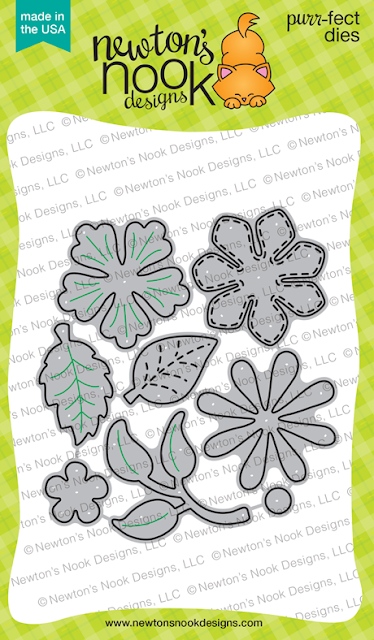 Something different in each one from the background stencils to the flower dies. Fun cards. Loving the new stamp set. Beautiful cards. Love the colors and sparkle. Such a fab and versatile stencil used on your projects today. Love the effect of the Deco Foil gel. I am so glad I saw this card on Instagram because the depth of shine and shimmer is pure eye candy! Love the beautiful flowered backgrounds on your cards! Really great dimension & shine on your first card! What a treat to get to see 3 projects & they're all SO DIFFERENT!! 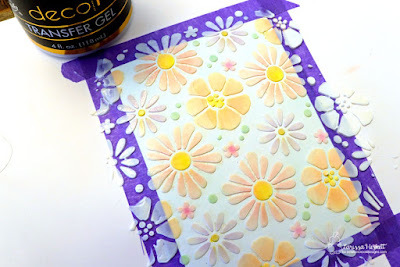 I am amazed with the stenciled transfer gel as well as those felt flowers!! Wow! I love all of these cards and couldn't pick a favorite. That transfer gel card is really a stunner, too! 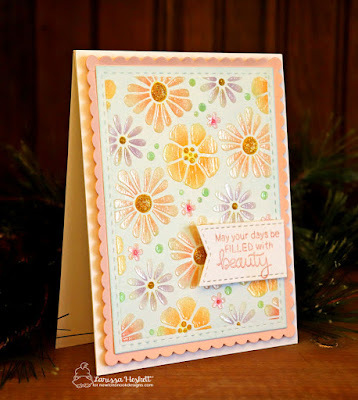 Love the loads of blooms stamp set along with the bokeh. Your cards are darling and the white die cut booms are so pretty. 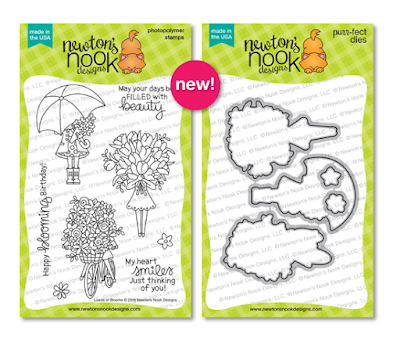 Awesome cards, I love the new stencils!